Let us begin with the obvious: Grindhouse is a confused beast, asking to indulge in two feature length works of varying quality (both between the two and within individual features) that do not tackle the grindhouse aesthetic from the same vantage point as one another. On top of this, we have four trailers that do not adopt the spirit of the movies around them, nor are those four trailers in unison with one another. Let us approach this murderers’ row: Robert Rodrigeuz’s Planet Terror, a high-flying zombie movie starring Rose McGowan and a postmodern descent into the aesthetic that tackles it to the ground so hard it that words like “luridest” must be invented to explain it away. Quentin Tarantino’s Death Proof, a confusing beast of a somber, stoic serial killer film starring Kurt Russell as Stuntman Mike, a killer with a car as a weapon. Stopping and starting in fits and spurts, Death Proof subverts expectations by rejecting and even flaunting the audience’s desire to be wowed by its lunacy. For it is, in contrast to Planet Terror, not a lunatic of a joke, but an actual film, played straight. On their own, then, we have two films that are very much of a different order and a different form, but we will get back to this. This entry was posted in Directing the Directors, Review and tagged exploitation-as-art, Kurt Russell, Metatextual Madness, Quentin Tarantino on April 19, 2015 by jakewalters98. Rare is a film of such purity as Kill Bill, and rarer still is a film of such purity that is never less than fully confused and unsure of itself. 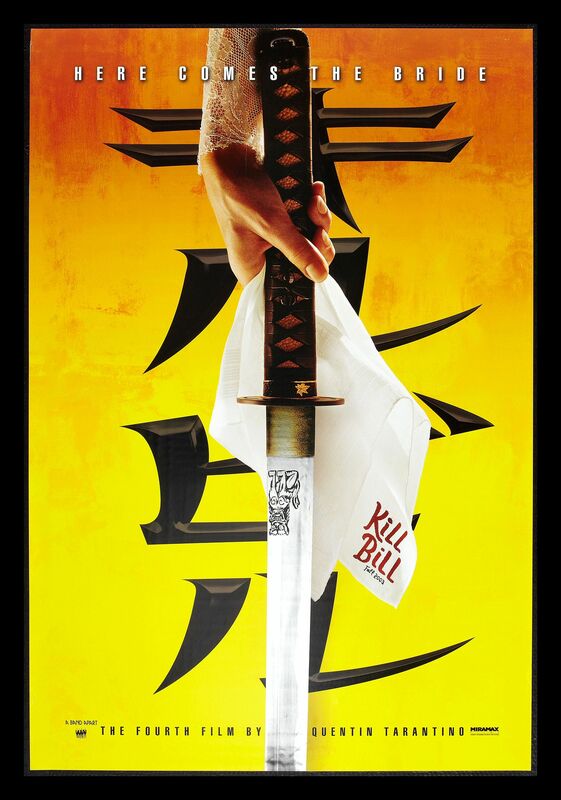 From beginning to end, Kill Bill is entirely the artwork of an unabashed enthusiast and filmmaker, but it is a deeply perplexed film, perhaps intentionally so, and perhaps to its unmitigated benefit. 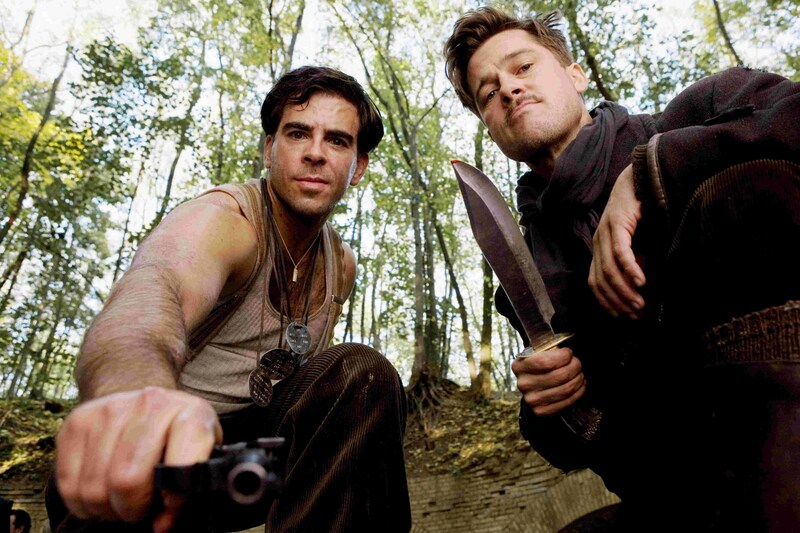 Purring like a kitten on the surface but deceptively self-critical underneath, Tarantino’s most violent film also has more to say about violence than any of his films. It is a work that is simultaneously enraptured in love with itself and tearing itself apart in disharmonious hate, and thus certainly his most fascinating, conflicted piece yet. This doesn’t make it necessarily better or worse, but it may make it his most worthwhile film, especially because it never once allows us the confidence of our views in it. 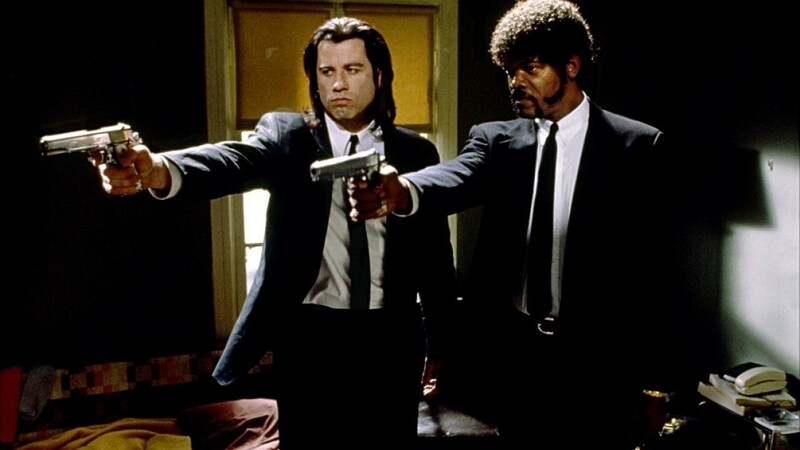 We can’t even really be sure if Tarantino “gets” it, and auteur theory isn’t going to help us one lick, unless of course it’s there in the background reminding us that Tarantino just can’t make an uninteresting film– even when doesn’t have a clue himself. Kill Bill can’t make an argument that Tarantino understands his own particular brand of proudly filmic anti-film commentary on the nature of cinema and violence. It may be him missing the forest of his own genius for the crimson-red trees of flailing arms and heads. But what a forest. And what trees. This entry was posted in Directing the Directors, Review and tagged Action, cinematic playgrounds, Quentin Tarantino, Uma Thurman on April 19, 2015 by jakewalters98. This entry was posted in Directing the Directors, Review and tagged Pam Grier, Quentin Tarantino on April 17, 2015 by jakewalters98. This entry was posted in Directing the Directors, Review and tagged bruce willis, John Travolta, Quentin Tarantino, Samuel Jackson, semi-subversive populism, those films, Uma Thurman on April 9, 2015 by jakewalters98. If one is to “talk shop” about film in the past quarter decade, you really cannot avoid writer-director Quentin Tarantino. No filmmaker has staked out his own public identity in quite the same way, and for better or worse, no filmmaker has been copied and misinterpreted nearly as much. The things that constitute a “Quentin Tarantino” film are vocal and known to many people, even those who don’t much care for cinema at large. He is one of the few directors who is both overrated, in that he really ought not be the first or even the twentieth director anyone mentions when talking about cinematic masters, and underrated, in that both those who like him and those who don’t generally misinterpret his films and seldom realize their true, fundamental genius. Considering how ubiquitous Tarantino has been for the past quarter decade, it’s somewhat shocking how misread he often is (then again films of great subtext and depth open themselves up to being misread, and Tarantino in all fairness courts more than he challenges misreadings). Few people really understand his essential identity as a director, and even though Reservoir Dogs is very much a testing ground for better things to come, it is essential cinema, and furthermore, it is essentially Tarantino in a nutshell. This entry was posted in Directing the Directors, Review and tagged Quentin Tarantino on March 26, 2015 by jakewalters98. This entry was posted in Review and tagged brad pitt, Quentin Tarantino, screwing with us, war games on July 25, 2014 by jakewalters98.